From the Feathergale Spire to the Sacred Stone Monastery, only to get dropped into a trap with an enraged Umber Hulk! Watch our sessions live on my YouTube channel every Sunday night beginning at 9pm Central. Subscribe and catch up on previous episodes! Sometimes your open world campaign may be a bit too open, or you sprinkled in a personal quest that was a bit too dire. Magical locked gates to the rescue! 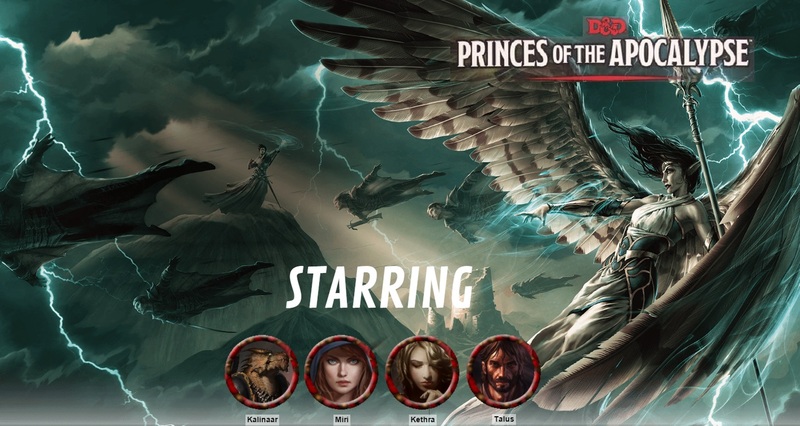 I don’t feel great about it but it ultimately helped funnel my players into a much more agreeable path, especially after hinting how “Princes of the Apocalypse” is set up. Plus, I got to send them tumbling down a flight of stairs into a room with an enraged Umber Hulk. Fun stuff! We picked up this week after the non-stop action at the Feathergale Spire that left most of its residents dead. The party swept through the rest of the now empty tower, seeing a few rooms on the ground floor for the first time. The titular team takes a back seat as we dive deeper into Nick Fury’s complicated past and convoluted present. 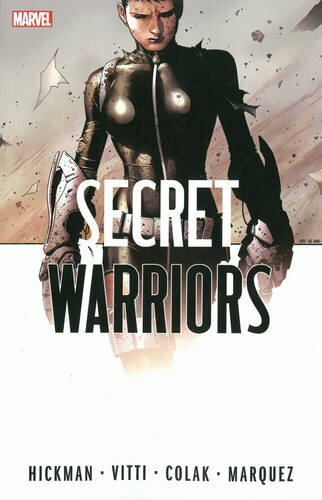 Secret Warriors had a really fun start as one of the best new comics to come out of Marvel’s Dark Reign period. Nick Fury’s clandestine team of second generation sleeper agent superheroes battling Hydra forces felt very GI Joe-ish in all the right ways. The second half of the series is nicely compiled into another collected volume. Unfortunately it almost completely drops the titular team in favor of focusing on Nick Fury. Our heroes act on the information gained from Thurl’s letter, and end up in a giant battle royale with the Knights of the Feathergale Spire. Here’s an interesting solution to making a lower-level dungeon a bit more difficult: have the PCs fight multiple rooms together, and without a proper rest! In this week’s session our heroes act on their new information gained from Aerisi’s note to Thurl, and end up in a giant battle royale with the Knights of the Feathergale Spire. The Spire is an interesting set up. A small, multi-leveled dungeon offers some interesting perspectives for going room-to-room. The most important factor is that the knights are not initially hostile, and I further played with that by having the guard at the door, Savra, be an old childhood friend of Miri, the party’s runaway-from-home monk. However, at the end of last week’s session Kethra did some snooping and found an incriminating letter in Thurl’s room. It spoke of a battle with a Black Earth Cult, and a captured prisoner – one that matches the description of one of the diplomats that went missing. Not every creature in the official D&D Monster Manual is a fearsome dragon or badass demon. Some are just incredibly silly. The rise of geek culture has lead to wider exposure and acceptance of one of geekdom’s fondest hobbies: tabletop role-playing. Now you’ve got Vin Diesel playing Dungeons & Dragons to promote a film and prolific voice actors rolling dice online every week. Even if you don’t know your beholders from your mind flayers, D&D’s latest Monster Manual is a treasure trove of mythological beasts and horrific nightmares. But some are just plain silly. A fun XCOM-lite in a dark Western setting hampered by its tight indie budget and odd campaign structure. Hard West had all the right ingredients that got me excited about its Kickstarter campaign: tactical XCOM combat, Western setting, supernatural elements, choice-driven gameplay. The end result is something of a mixed bag, mostly due to its shoestring indie budget and odd campaign structure. 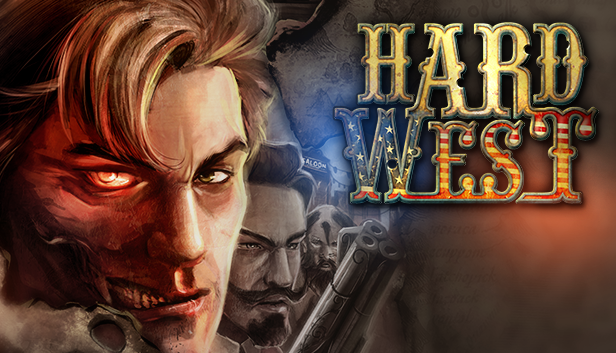 Hard West mostly tells a classic Western story of revenge. Warren loses his parents, then his girlfriend, then his life (life was rough back then, man). He’s given a second chance with a not-so-subtle Deal with the Devil, and begins his quest for vengeance. Also an ill-conceived quest to bring back his dead girlfriend. The X-Men are attacked by a united vampire army, and one of their own is permanently transformed. Guest-starring Blade! The Heroic Age of 2010 gave us lots of clearly defined good vs evil storylines. What could be more evil than a conquering army of vampires? In “Curse of the Mutants,” yet another new X-Men series brought us a vampire story straight out of Underworld or Blade. By embracing its campy tone the story remains fun and action-packed, though the finale feels a bit too rushed and easy. The problem with X-Men is that there’s always way too many X-Men comics. And most of them star the same damn popular team members. At the time this new 2010 X-Men volume began, we already had Uncanny X-Men, Astonishing X-Men, X-Men Legacy, New Mutants, X-Factor, and shortly – Uncanny X-Force and Generation Hope. The party gains peaceful admittance to Feathergale Spire, attends a feast, hunts a manticore, and discovers a startling secret. A standard monster-filled dungeon can be fun, but I really enjoy when an area has some unique twist about it aside from room-to-room monster-bashing. The Feathergale Spire is a neat four-story tower filled with seemingly innocuous knights and aerial enthusiasts. The encounter can transpire in numerous ways depending upon how the PCs react. 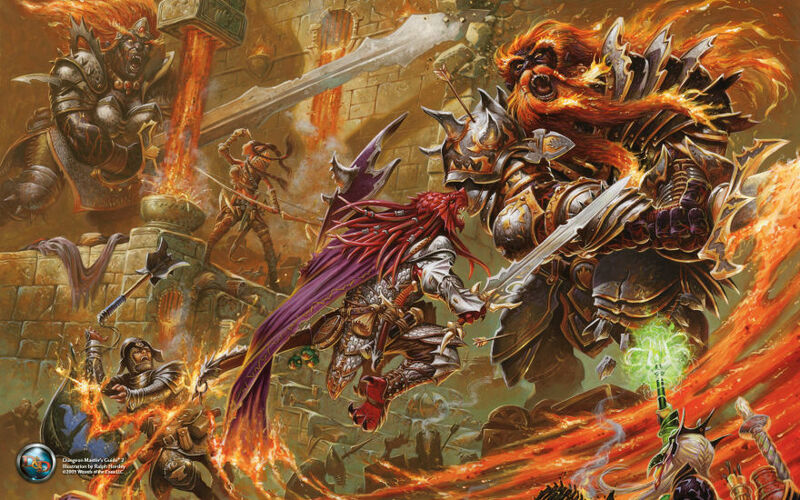 Nothing is more fun to me as a DM than listening to my players hastily deliberate on a course of action, each crazier than the last. First the party had to make it to the spire. When we left off they’d just killed a bunch of griffons in the Sighing Valley and found an alcove to rest in. When they awoke I had a group of aarokocra find them. The aarokocra were wary but curious. It was a fun opportunity for some unique role-playing, as neither party could understand each other. Talus rolled really well on a History check and I gave him some information on these bird-like humanoids – mainly that they’re not evil and often fight forces of elemental evil. Numerous drawing, pointing, and miming ensued which was delightfully funny.